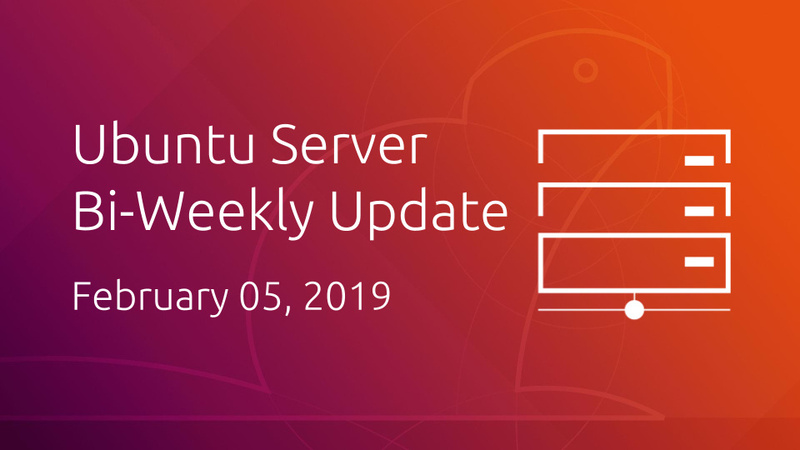 The second point release of Ubuntu 18.04 LTS (Bionic) is scheduled for this week. The server ISO comes with the latest subiquity and curtin containing various fixes and updates. Please help with testing the new ISO on the ISO tracker site. This past month the canonical-server team welcomed a new member, Paride Legovini (paride on Freenode), into the fold. He is in charge of quality for the Ubuntu Server distribution. He has already contributed to cloud-init and curtin and is working on the aforementioned Bionic ISOs. Paride stays very busy as a Debian Maintainer, he is finishing his PhD, and he even spent a year on Antartica. Welcome aboard Paride! Canonical's Ryan Harper was granted PPU rights (per package upload) into Ubuntu for cloud-init and curtin packages. cloud-init queued SRU (Stable Release Update) for Xenial, Bionic and Cosmic of cloud-init 18.5-21. Expectation is to publish this version in the next two weeks. Add documentation on adding a datasource.